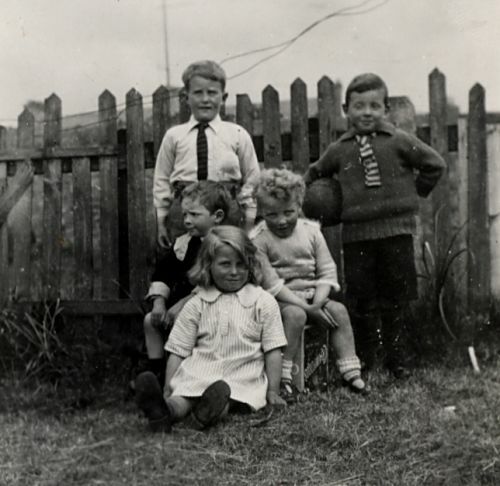 Victor Urquhart, Douglas Matheson, Donald Matheson, Andrew Copeland, Margaret Urquhart. Taken in the garden of what is now the Police house. I'm related to Vitor (dec) and Margaret Urquhart. My father is Samual Hossack. I am looking for pic of his family.